We’ve had a wonderful year here at Corridor Communications, Inc. and are grateful to be working an amazingly diverse group of intelligent, passionate, caring and determined professionals – our clients. From soap to UAV technology and ERP software to dry-cleaning, the companies we work with and the teams we collaborate with share our core values: to build a better world for others, our communities, our families and ourselves. In addition to donating our time and services locally to schools, veterans organizations and environmental groups, we create programs and support our clients as they give back locally and globally. Here’s a glimpse into some of the programs our teams developed and supported in 2015. APB supports the Rodman Ride for Charity benefitting youth focused social services agencies serving at-risk children. Barco’s Nightingales Foundation provides clean water to 20,000+ in Haiti, feeds hot lunches to nearly 4,000 children, sends children with cancer to Camp Ronald McDonald for Good Times, and funds live-changing surgeries in some of the poorest nations in the world through ReSurge International. Eternal Valley helps residents cope with grief during the holidays through their annual candle light service. Flair Cleaner’s Annual Flair Cares Clothing & Shoe Drive rallies customers in support of local nonprofits in five communities. Mercury Systems’ Cristo Rey internship program gives at-risk youth the opportunity to gain experience and credentials that will help them pursue higher education. Pierce Brothers Valley-Oaks Griffin brings the community together to celebrate, honor and remember those who have passed at Easter and on Memorial Day. Rose Hills hosts an annual resource fair for veterans so they have easy access to the services and support they need. 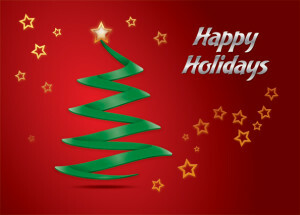 Happy holidays to all of you from all of us at Corridor Communications, Inc.